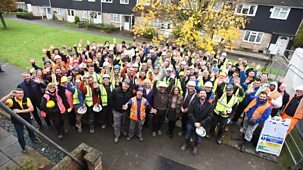 Amanda, mother of four and wife to local builder Vic, was training on her bicycle for an iron man when her brakes failed on Bury Hill, West Sussex. Travelling at 40 mph, she lost control and smashed into a signpost which catapulted her into bushes. The enormous impact meant Amanda broke 11 bones, punctured a lung and snapped her collarbone and her back. In vast pain, Amanda lay there motionless and described the sensation 'like my spinal fluid was leaking from my body'. It was two hours before Amanda was found by another cyclist. On arrival at A&E, she was told that she had been left paralysed. That evening, a national newspaper featured her selfie from the hospital with a beaming smile advising friends: 'I don't want to make anyone sad or upset but I'm not going to walk again', and she was determined to continue to compete as a para-athlete.\n \nWith husband Vic now tending to the four children, Amanda spent the next six months at Stoke Mandeville spinal unit. Even during her darkest days at the unit, she would help to feed other patients to keep busy and to remind herself that - in her mind - it could have been worse for her. After two gruelling 12-hour back operations, she returned home in a wheelchair. 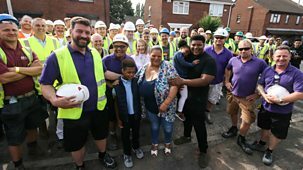 Her home was now unsuitable, so that is where the DIY SOS volunteers come to the family's rescue. Home renovation series. 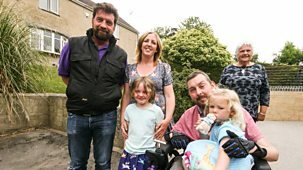 Nick Knowles and the team help a couple to adapt their home to meet the needs of their eldest son who has Duchenne muscular dystrophy. Home renovation series. 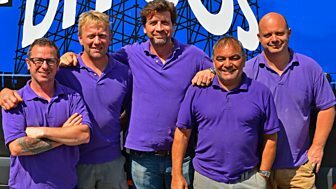 Nick Knowles and the team make changes to the home of a child born with quadriplegic cerebral palsy, aiming to give her increased mobility. 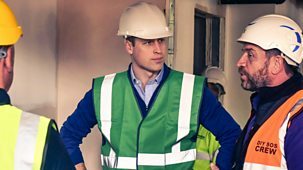 Home renovation series. 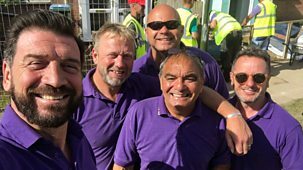 Nick Knowles and the DIY SOS team head to Warrington to help an electrician who suffered a massive stroke which left him partially paralysed.